In many Greek restaurants, this dessert is served compliments of the house. 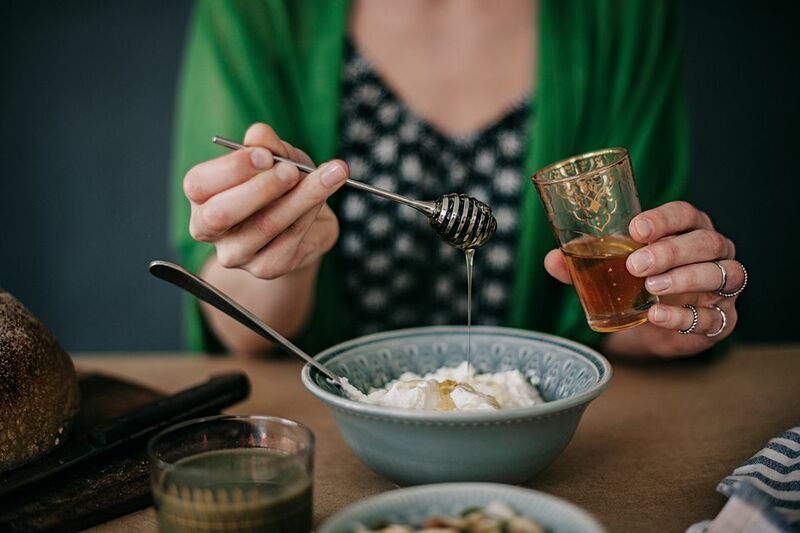 Both yogurt and honey are great for the digestive system, and the combined tastes are delicious. It's worth the effort to find the original thick Greek yogurt available at Greek and ethnic markets or make your own thick yogurt using regular, low fat or nonfat regular brands. You can also serve it with fruits and also bake with it ( and also bake with it (baking with Greek yogurt). Because yogurt is such a popular breakfast dish around the world, try this as an early morning starter as well! In individual serving bowls, drizzle honey over the yogurt and sprinkle with walnuts and/or almonds if desired.